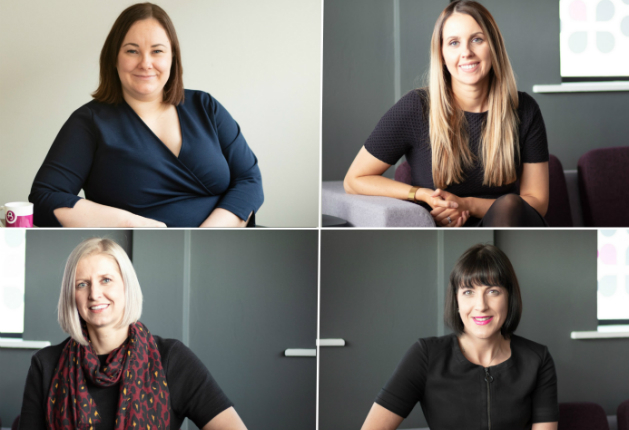 Solicitors Joanne McKenzie, Rachael Stephenson, Sarah Willshire and Chartered Legal Executive Kathryn Hill have been elevated to Partner - Kathryn is the first non-solicitor to reach partnership level at the firm. Head of Agri-business Joanne McKenzie is based in Carlisle. Nick said, “She is a proud West Cumbrian - very grounded and straight-talking. Clients love her.” She is recommended in prestigious industry guides including Chambers & Partners and the Legal 500. Rachael Stephenson joined Burnetts in 2017 as part of the firm’s succession planning in the Wills, Probate & Trusts team. She is described by Nick as “a breath of fresh air who goes the extra mile for her clients.” She is also a Legal 500 Recommended Lawyer. Also promoted are commercial solicitors Abigail Clucas, Rebecca Joy, Sarah Loan and Anna Lovett who are promoted to Associate Solicitor and Associate Rob Winder (a Chartered Legal Executive) who is promoted to Senior Associate. It was recently announced that Helen Hayward, James Johnston, Robbie Mather and Michael Walby had become part-owners of the business as equity partners, giving them greater involvement in shaping the overall direction and future of Burnetts. James, Robbie and Michael trained with Burnetts and Helen joined the firm in 2013. Burnetts now has 18 Partners and employs 170 staff across four sites in Carlisle, Cockermouth, Penrith and Newcastle. Pictured above, clockwise from top left: Sarah Willshire, Joanne McKenzie, Rachael Stephenson & Kathryn Hill.